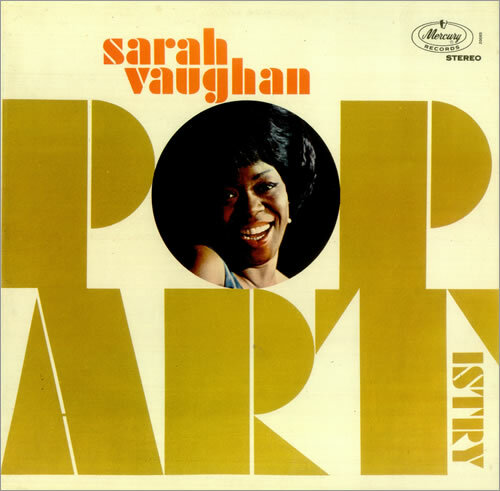 SARAH VAUGHAN Pop Artistry (1965 UK Mercury Records label 12-track stereo LP. Includes Night Song from the musical production Golden Boy plus Bye Bye from the popular TV series Peter Gunn, arranged by Luchi De Jesus. 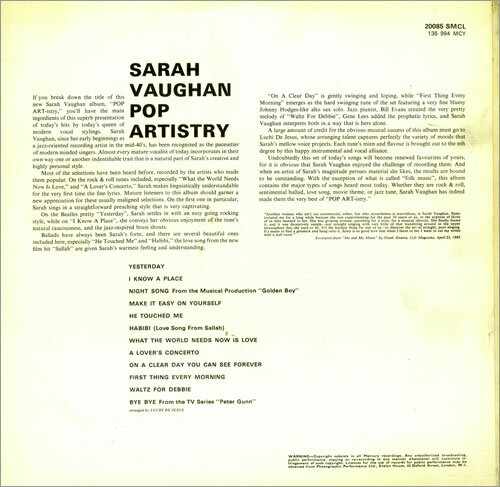 From the vast personal archive collection of a former music reviewer of the sixties, both the front laminated pasted picture sleeve and vinyl are in excellent condition 20085SMCL).